Every Thursday on the @dazedmagazine Instagram we reveal our #dazedandexposed picks of the week, discovering photographers and creatives from around the world. This April we joined the great censorship debate (with the help of emojis) and shared images from the US, Canada, Brazil and Germany. Read the stories behind our favourites here, and click through to their Instagrams for more. Want your Instagram account to feature on Dazed? Tag your photos with #dazedandexposed. "This particular photo was taken during the week of Valentine’s day. 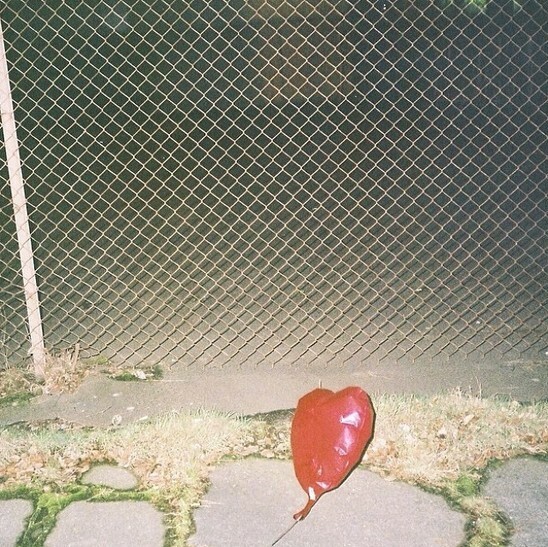 While leaving the grocery store, I noticed a sad, deflated, heart-shaped balloon outside. It struck my curiosity and I instinctively nabbed it. While walking home I envisioned this idea and took this photo. Living in Portland, I am exposed to nature and its industrial counterpart daily. It continually spurs my imagination as I am someone who is easily inspired by my surroundings. Photography gives me a mechanism to visually express my fantasies and daydreams." "I'm Brazilian, 23, and part of an art/fashion/photography duo called Silva+Cemin. This photo was taken last year and it's part of a series called “My Head Is Surreal” from my duo work where me, my duo partner Cemin and Fran, the model on the picture, got naked to express the surrealism in our bodies. When I take pictures I never do it alone I'm always with Cemin. I (we) created an aesthetic for our pictures and we like to follow it every time we take photos. Analogue or digital, we always put our signature on it, our visual identity. I don't know if it's very artsy or very fashionable but I do know I'm expressing my feelings." "I spent two months on a contract in Stuttgart, Germany, and got a room with a window letting in amazing light almost every morning. At some point I started to photograph stuff I could find around, shortly before leaving for work. 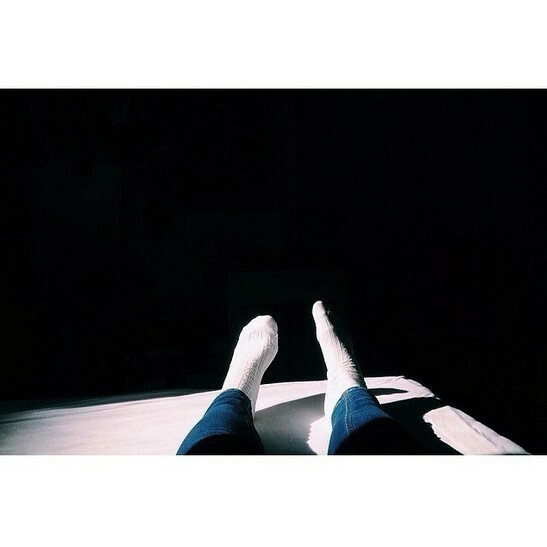 So these are my feet in some white socks, for the greater contrast. I like to photograph things that are disturbing or simply not obvious for someone who would like to describe them. I’m Polish, based in Berlin right now, working for theatre and studying graphic design." "I took this photograph on the road from Montréal. My boyfriend and I were in the backseat of the car when I noticed that, despite the fact that we were both dozing off, our hands kept clinging on to each other. I find hand holding to be one of the simplest yet most meaningful gestures people can share with another person, and it demonstrates many sentiments that could never be fully expressed through words. I really like photographing people and the special little things that are found in mundane life. All the pictures on my Instagram have been taken with my phone, I think it's an excellent tool that's fast, unobtrusive, and always at hand. I grew up in Venice but currently live in Toronto, where I work as a photo assistant for the talented Caitlin Cronenberg."